FutureFest is our weekend festival of ideas, talks, and interactive performances to inspire people to change the future. We use FutureFest to gather some of the planet’s most radical thinkers, makers and performers together to create an immersive experience of what the world might be like in decades to come. We believe that by talking about the future we enhance people’s capacity to shape it. FutureFest is a non-profit initiative aimed at bringing future thinking to the public realm, so that everyone can benefit. The weekend festival is held every other year and is a chance to hear directly from those putting emerging ideas into practice across democracy and government, work, health, science, education and the arts. Through talks and debates, installations and immersive experiences, participants are equipped with the tools needed to author better futures. Since 2013, it has attracted more than 12,000 visitors. If you are interested in exploring opportunities to contribute to the festival, get in touch by email at [email protected] - we would love to hear from you. 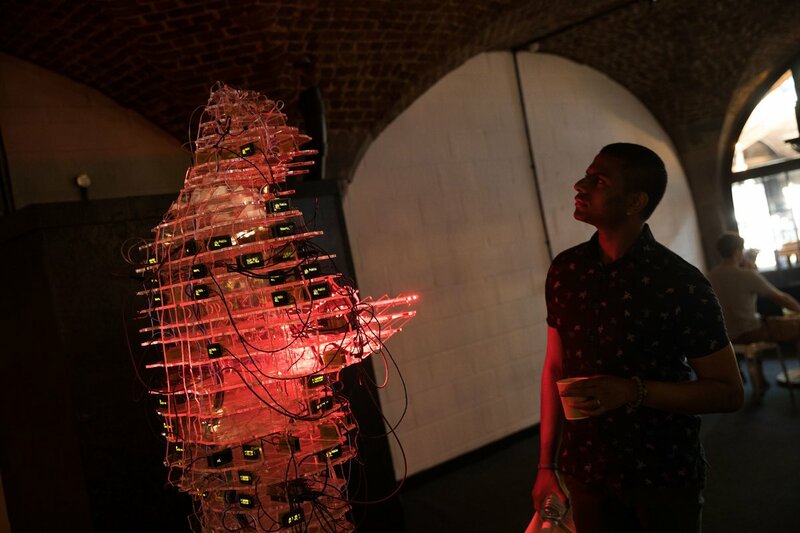 The inaugural festival, FutureFest 2013, was held in east London over the weekend of 28-29 September 2013. The event was staged to help complement Nesta’s work as a research body, investor and programme funder as well as a producer of world-class events. FutureFest 2015, which ran between 14-15 March 2015 at Vinopolis, London, focused on six themes: thrills, music, money, machines, democracy and global - exploring in particular two rapidly-developing cities in Africa. Highlights included Vivienne Westwood and Edward Snowden challenging the establishment and discussing the future of democracy; legendary funk musician George Clinton, who took us on a journey through space, time and music; bestselling author Jon Ronson questioning the power of social media and Baroness Helena Kennedy QC examining power structures in the face of globalisation. The programme spanned discussions, performances, installations and interactive experiences. Attendees were engaged as active participants, informed and challenged to explore and formulate their own vision of the future. At FutureFest 2016, our four curators - Ghislaine Boddington, Ruth Amos, Pat Kane and Dr Morgaine Gaye - helped us explore how we will love, work, play and thrive in the future. Speakers at the festival, which was held on 17-18 September at London's Tobacco Dock, included Brian Eno, Rhianna Pratchett, Will Self, Paul D. Miller aka DJ Spooky, Kate Russell, Cindy Gallop, Es Devlin, Sherry Coutu CBE and Oliver Peyton. 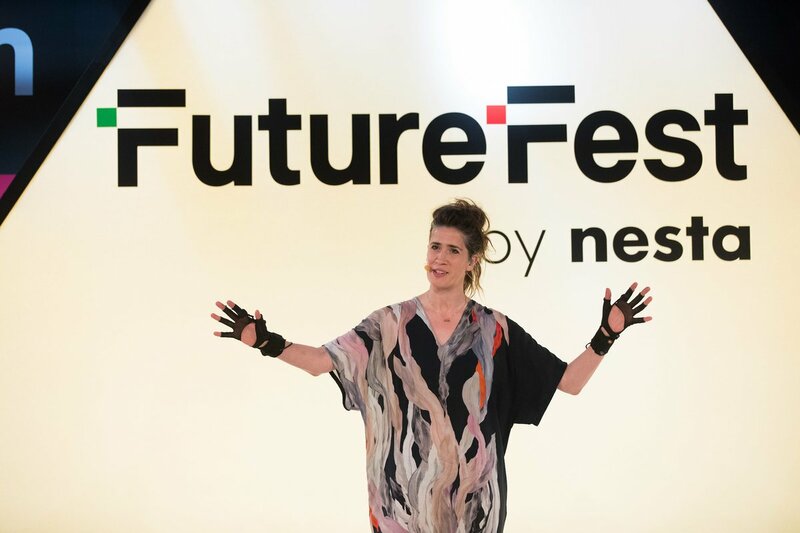 FutureFest 2016 also featured a dedicated Nesta Stage for the first time, showcasing our diverse range of work in innovation, from the sharing economy to the future of city design and much more. The last festival returned to London's Tobacco Dock on 6-7 July 2018 and included the likes of Ruby Wax OBE, Sir Nick Clegg, Paul Mason, Imogen Heap and Akala among its key speakers. The fourth edition came at a time when our relationship with the very idea of ‘the future’ is fraught. For many, the forces set to shape our world in the coming years seem invisible and remote; from black box algorithms to hidden influences over the democratic process and the media. The scale of the challenges of our time (inequality, failing democracies, healthcare systems edging towards crisis) calls for bold and radical responses. It is in this spirit that FutureFest 2018 served as a platform for alternative visions of the future.